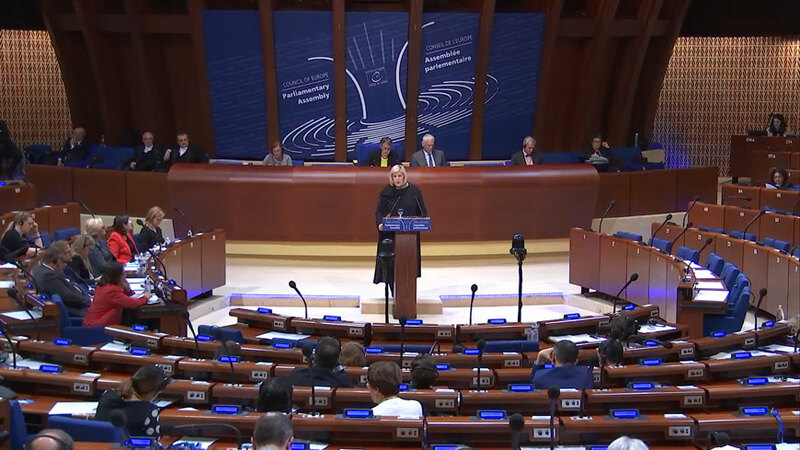 The Council of Europe Commissioner for Human Rights, Dunja Mijatović, presented her first annual activity report in a debate before the Parliamentary Assembly of the organisation. The report focuses on the main human rights issues in the Council of Europe member states, as children’s rights, transitory justice and human rights in the era of artificial intelligence as well as the most recurrent topics of the work done by the Commissioner, like migrants’ rights, women’s rights, human rights of persons with disability, the protection of human rights defenders and the safety of journalists. The Commissioner affirmed: “Migration is among the most pressing human rights issues on my agenda. National authorities should improve the treatment of immigrants, asylum seekers and refugees, and put human rights and the principle of responsibility sharing at the centre of their migration and asylum policies”. The protection of human rights defenders and of journalists also requires more attention by the authorities of member states because “violent physical attacks, as well as laws and practices significantly reduce the ability of human rights defenders and journalists to provide their contribution to the democratic fabric of our society”.